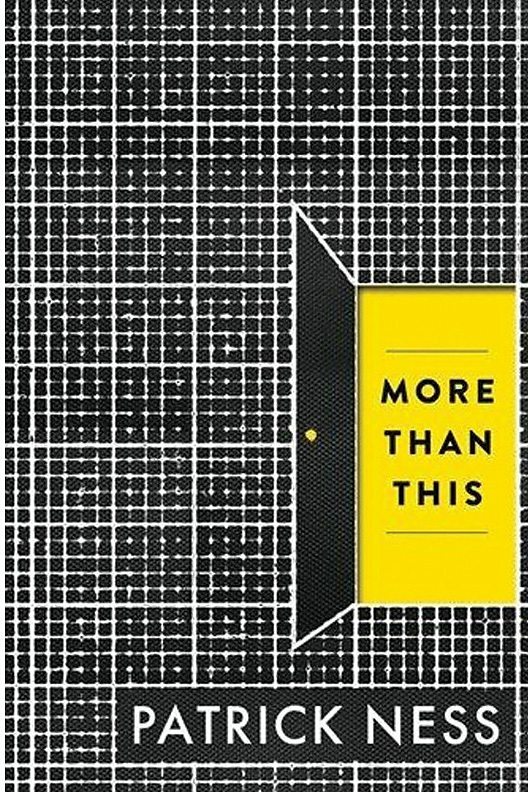 “Here is the boy, drowning” is the opening line of Patrick Ness’s confounding, riveting, philosophical and profoundly moving YA novel More Than This. If you are a regular visitor to The Ludic Reader then you know that I am a Ness fan. I have huge love for his novels A Monster Calls, The Knife of Never Letting Go, The Ask and the Answer and Monsters of Men. More Than This is the story of a boy who, in the novel’s riveting opening, drowns. And then he finds himself well, not dead. He seems to be lying on a concrete path that runs through the front yard of a house, stretching from the sidewalk to a front door behind him. The house is not his own. And there’s more wrong than that. For 163 pages, Seth (as the boy eventually remembers) is alone in a post-apocalyptic town in England. This is, as it turns out, the town where he grew up before he moved to America. Bits and pieces of his story come back to him when he dreams. For example, he remembers something horrible happening to his younger brother, Owen, something for which his mother never forgave him. He remembers Gudmund, a boy for whom he has more than friendly affection. He remembers his other friends, H and Monica. As his previous life filters back to him in dreams, he tries to survive in this new wasteland. And then he meets Regine and Thomasz. And the Driver, a creepy faceless virtually indestructible being whose sole purpose seems to be to try to catch the three teenagers. And how can there be just them? What has happened to the world? One member of book club was certain that Seth was suffering from a psychotic break and while her argument is certainly plausible, I am happier taking Seth’s dilemma at face value. I think it’s a more interesting book if we believe in what he sees and experiences. Otherwise, it just feels like Bobby Ewing in the shower. The last couple of pages of More Than This are outstanding. Some members of my group felt that the novel was 150 pages too long, but I disagree. I think the novel packs a terrific punch and Seth’s journey from self-centered adolescence to manhood is memorable and magnificent. I continue to be filled with admiration for Ness and look forward to talking about this novel with my students. But make no mistake – this novel has lots to offer thoughtful readers of any age. This entry was posted in Book Chat and tagged 2014, Book Review, favourite authors, highly recommended, mature teen, YA by Christie. Bookmark the permalink. Ness’s book is still sitting here in my study, waiting for me to get a backbone and place it in the “mature audience” bin for my 8th graders. It’s just a few pages, really, that get just a bit too intimate — if tastefully done — and worry me. Or worry my perception of what parents might think reading over Johnny and Suzy’s shoulders. I can see the e-mail to the principal already. Gotta get over that, I suppose. 13- and 14-year-olds can handle this, right? Right. P.S. I’m not sure you (or your brothers) care, but congrats on Oh, Canada’s twin killings in Olympic hockey. Psychotic break or horrific future world? And do you know what, I do think mature 13 and 14 year olds would gobble this book up. I mean, I teach grade 9 and so have some 14 year-olds…I dunno. I think you’re right; it’s the parents not the kids we have to worry about. I am enlightened when it comes to that stuff: I never censor what my kids are reading and my 14-year-old son, in particular, reads some bizarre stuff. I mean, isn’t it about giving kids the opportunity to see themselves in the books. I think the fact that Seth is gay is incidental, really, to everything else that happens, anyway. There’s so much to talk about in this novel! As for the hockey – yay Canada! But I say this only because I am required by Canadian law. I haven’t actually watched a single moment of the games.